Denny Jump (Bellevue, WA, United States) on 18 September 2011 in Miscellaneous and Portfolio. 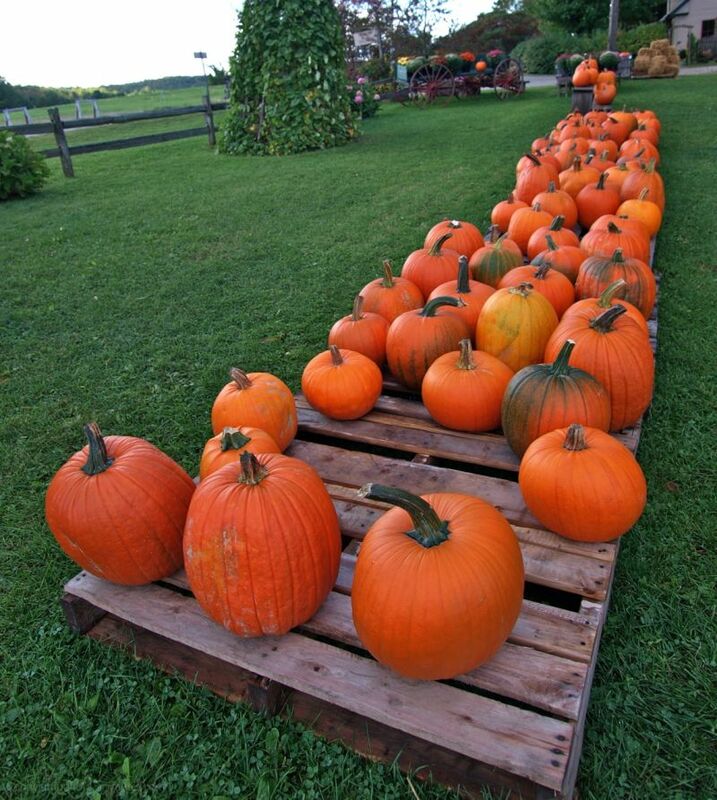 Pumpkins lined up for purchase at the apple farm near our daughter's home in Vermont. Pumpkins are a true flavor of Autumn in the New England states and everywhere, really.....This one right in the front (on the right) was "the Pumpkin of my eye" ;-) ...This image was captured in late September, 2009 in Essex, Vermont. No, not already!!! Gorgeous color and fecundity. Love the POV and the composition. Like Christine says we love them! Roast squash I love! Festive and colorful capture, you captured the season perfectly, nice composition too! Excellent framing on this vibrant shot, Denny. The colors really pop and the setting is so pretty. These colors are fabulous! Nothing gets me in the mood for the holidays like a bright orange pumpkin! A lovely display in orange and greens. Beautiful angle..very colorful shot. Well presented. Beautiful! Haven't seen too many pumpkins around here yet, but am looking forward to it. My favorite time of year! What fantastic oranges and greens! I can't believe you guys already have pumpkins for sale up there. Great shot Denny! Just went back and saw this was shot in September '09, but still, that seems really early. All set for Halloween . . not long, now ! Fabulous colours and composition, Denny! Very compelling image with the orange and green together. Couldn't ask for a more iconic Autumn image. Oh, it's that time of year. I really like the pov here, and the bright colors, too. Superb composition with this stunning color. Great image! The colors are wonderful Denny! I was just looking at the aspens...they are starting to turn yellow...the mountain mahogany popped out this morning with bright red leaves...it’s that time of year! Great capture! Beautiful colors captured here with a great PoV. This PoV gives this composition nice depth. That's just wonderful! I love the perspective and long fade into the distance. I am a huge pumpkin fan and love the season for all the wonderful orange. Good perspective and composition with this one, the colours speak for themselves. Pumpkins only find their way into the UK for Hallow'een essentially, I don't think we've quite got the taste for them yet. Beautiful colors and composition. Compelling.